I think it’s a fair assumption to say that the French in general have a relatively low tolerance for modern cuisine and, to a certain extent, I can see their point; why fix something when it’s right? Challenging this concept however, there has been a growing number of chefs over the last decade that have been daring enough to embrace the modern aesthetic. Alexandre Gauthier is one such individual. Since taking over the reins from his father in 2003, Gauthier has come a long way to regain the Michelin star the restaurant lost in 2001. In addition, he has established a hotel that fully encompasses his unique vision and reflects his ethos of working with nature. 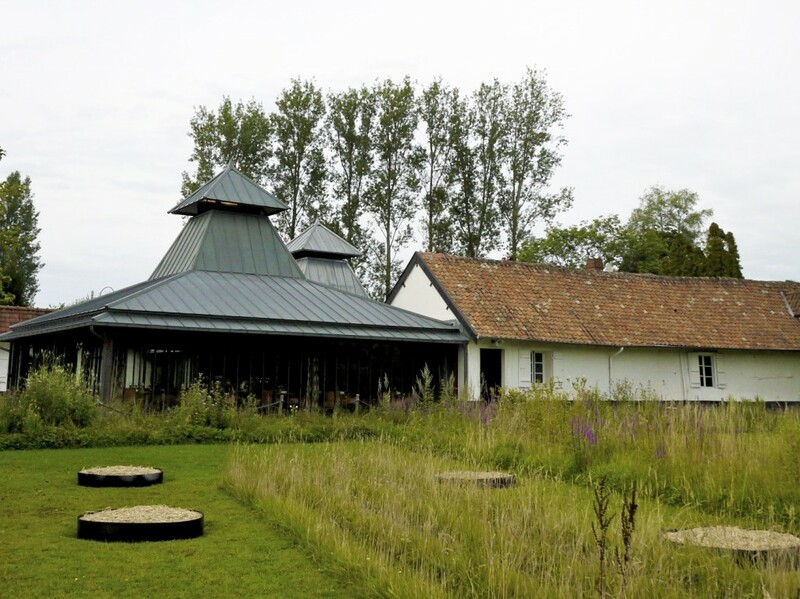 The auberge and restaurant are situated in an idyllic location right by the river Canche, outside the village of Montreuil. This picturesque site is further enhanced by what appears to be a completely wild and rugged garden, full of wild flowers and grasses. On closer inspection however, it is clear that every detail has been carefully considered, highlighting Gauthier’s respect of the natural environment. In usual fashion, we commenced the evening with a glass of champagne and an array of amuse bouches in the sitting room located in the old farmhouse that previously served as the main dining room during Gauthier’s fathers time. 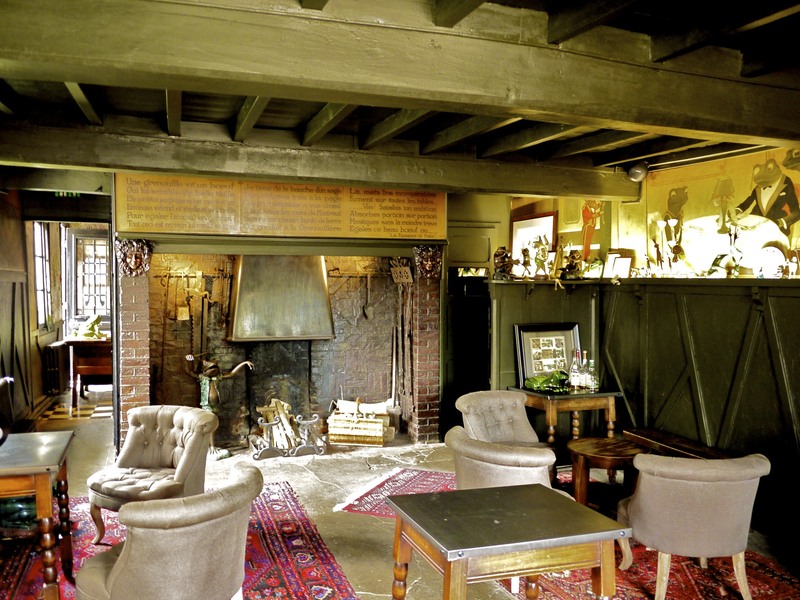 The imposing fireplace added character to the rustic room that had wooden beams across the ceiling and polished stone floors. 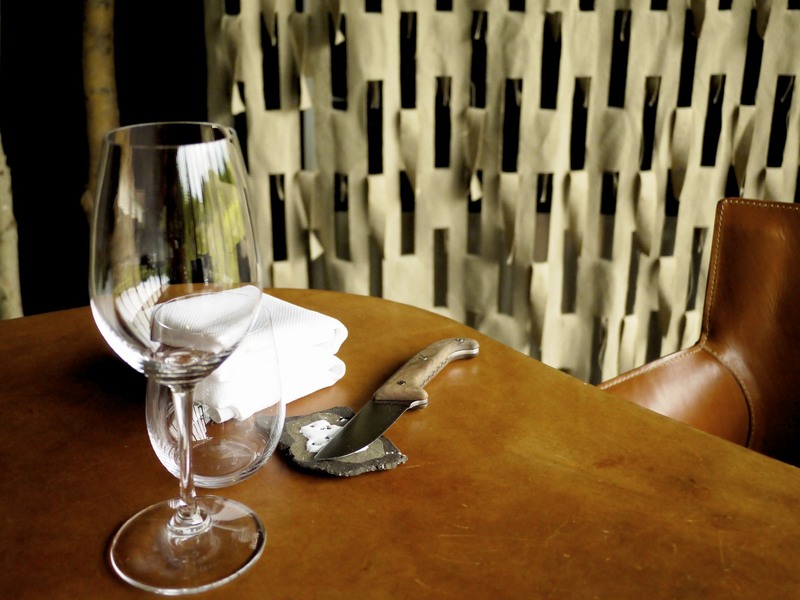 Gauthier has thoughtfully and lovingly conserved the room in its former style, respecting the roots and rich history of the auberge. The restaurant, on the other hand, went through a serious transformation in 2011 when Gauthier discovered Patrick Bouchain (the architect behind the contemporary gites, Les Cadoles, Maison Troisgros) and employed him to help “reinvent” the restaurant. The result has been a giant theatrical space allowing curious patrons to observe the chefs working methodically in the modern and open kitchen during their meal. 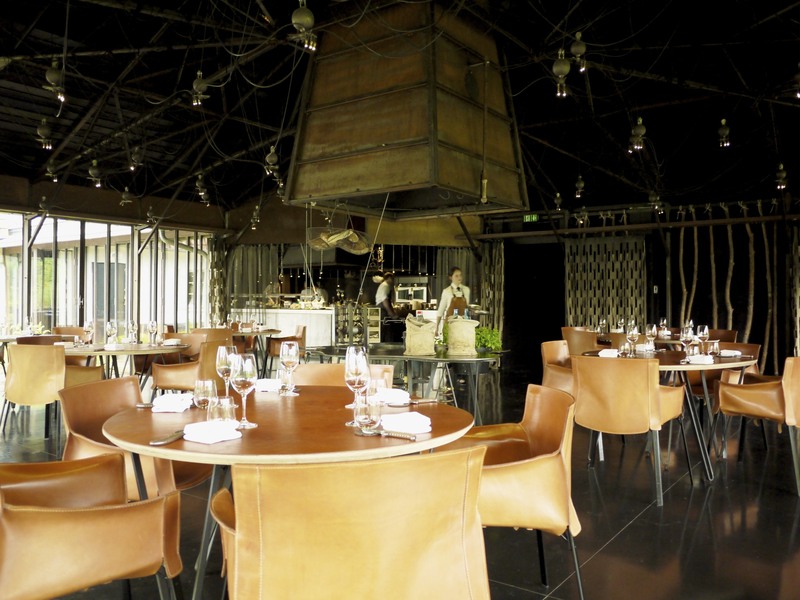 The new minimalist dining room equipped with tanned leather chairs and tables was elegant but simple, and did not distract diners from the beautiful garden surrounding the entire room visible through floor to ceiling windows. We managed to try all the bread that was on offer throughout the evening. 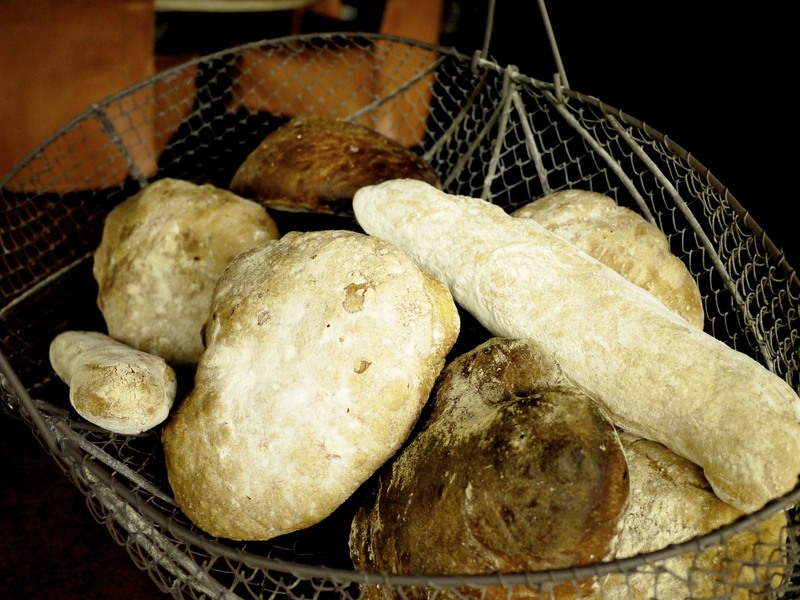 Suffice to say, bread making is a religious affair in France that even the avant garde chefs are simply not willing to do without. Great textures, crust and flavours. 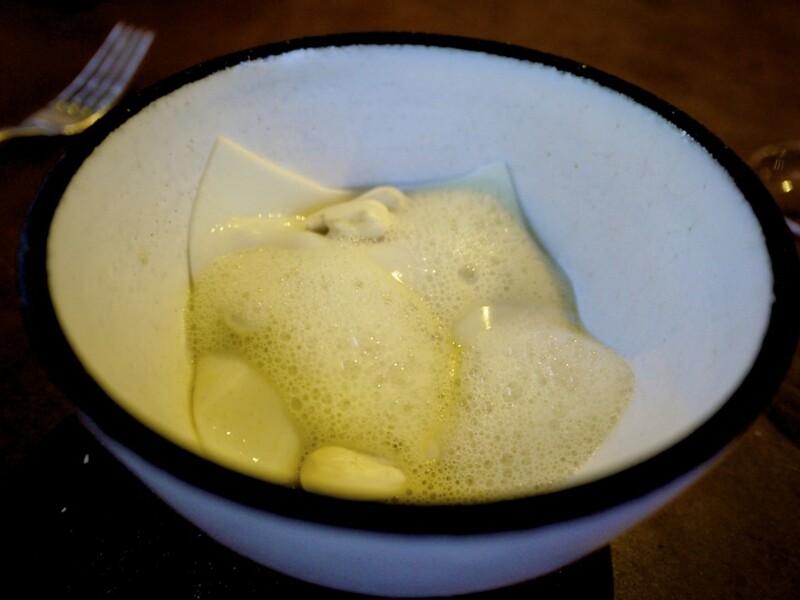 The first course of the evening was a light and delicate egg white curd that had been stuffed with grey shrimps (Blanc d’oeuf caillé, crevettes grises). Interesting texture not too dissimilar to that of cottage cheese. An extra course of razor clam was placed on the edge of our bowl (Ensin, blanc d’oeuf…). The raw clam, served in its shell on a bed of fluffy egg white foam dusted with corn powder, had a very clean and mineral flavour. Nice crunchiness from the fine crouton crumbs. I must admit tonight was a first for many things but I had not expected to try green strawberry (Fraise verte…), nor combined it with cockles, seaweed and homemade seawater. The acidity of the unripe strawberry added freshness to the dish and was amazingly balanced by the sweetness of the slightly cooked cockles. 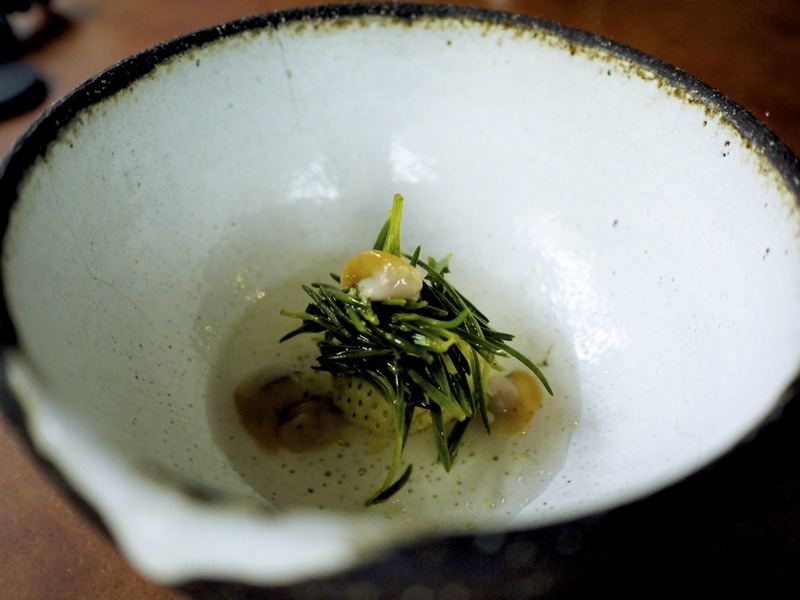 The seaweed provided a textural element and the “seawater” was the perfect seasoning to bring the dish altogether. A highly unique and delicious dish! 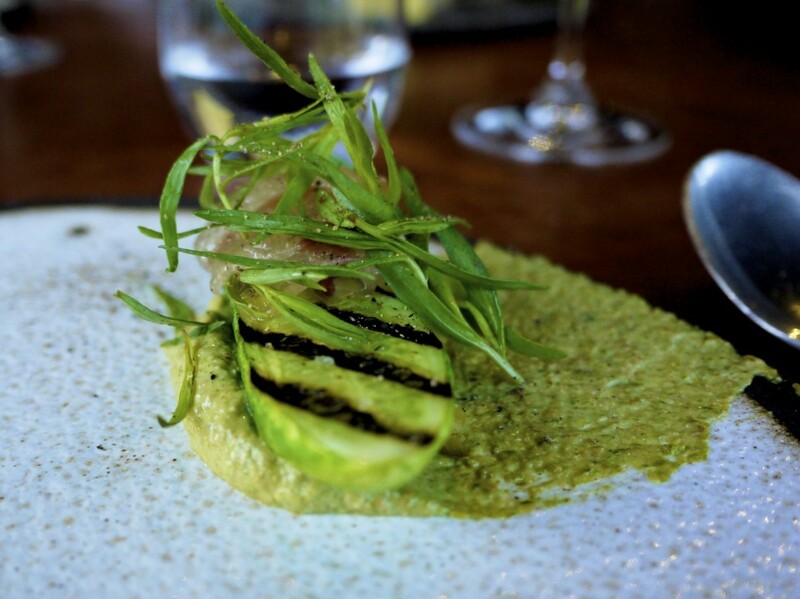 I similarly enjoyed the octopus and petit pois (Petits pois, seiche…), particularly how Gauthier played with the texture. The octopus was soft and mushy (as one would usually expect from cooked peas) whereas the giant petit pois were cooked with extreme precision to provide a delicious crunch. 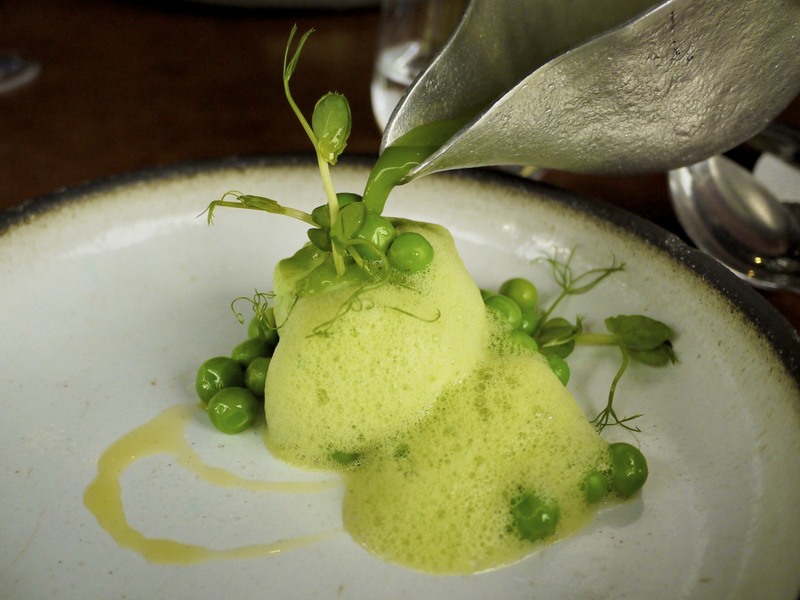 The concentrated petit pois juice served at the table rounded off this naturally sweet dish. Admittedly, what impressed me most with this dish was how much flavour of the octopus I could taste as they are quite often served with sauces that dominate the flavour of the dish. A gigantic 000 oyster, hiding under a long tagliatelle of zucchini (Huître grillée, courgette…). The oyster perfumed with smoke went particularly well with the peppery rocket and sweet zucchini. Another surprise course appeared containing cockles with slices of raw yellow squash and lemon zest (Courges jeunes, coques, fleur). 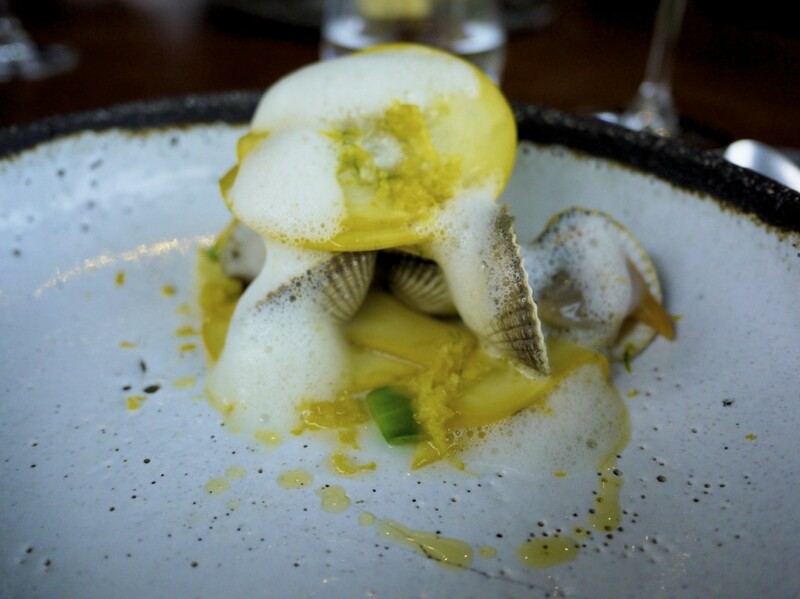 The squash was the perfect canvas to amplify the flavour of the clams whilst giving a meaty texture. 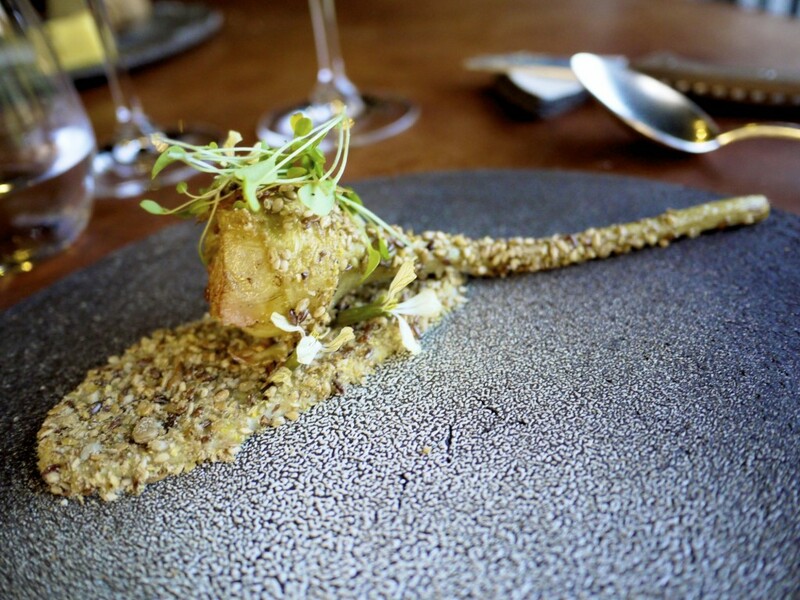 The surprise courses kept on coming including this John Dory course (Saint-Pierre, épinard fumé…). 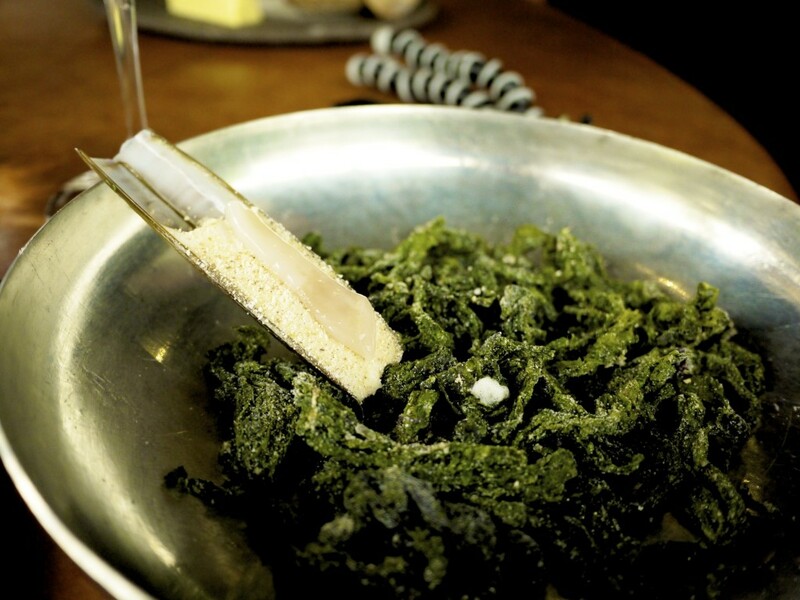 The delicately salted fillet of fish arrived perched atop a bed of silky smoked spinach and crunchy spring onion. 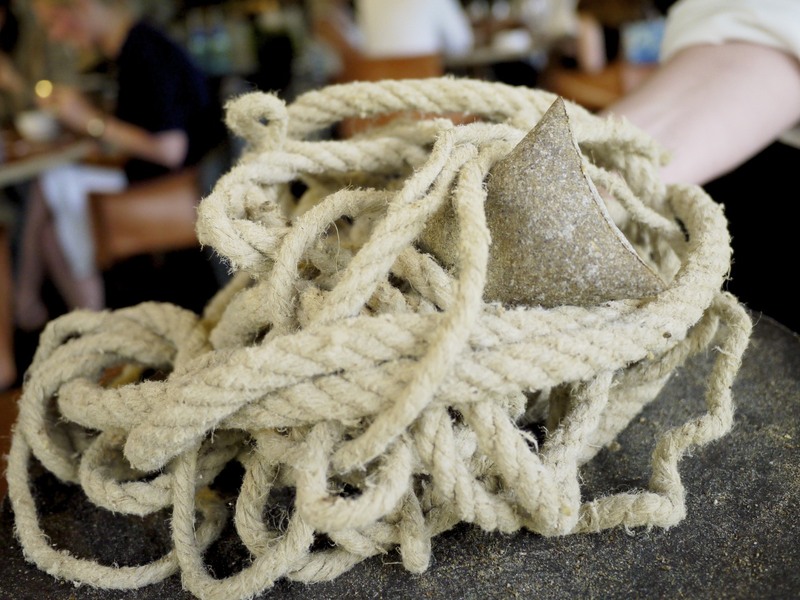 I had to do a double take when the little cushions made from wheat were presented amongst an entangled rope (Coussin de blé…). The cushions were filled with a very seductive white truffle emulsion that engulfed our table with its aroma for the next five minutes. Delicious. 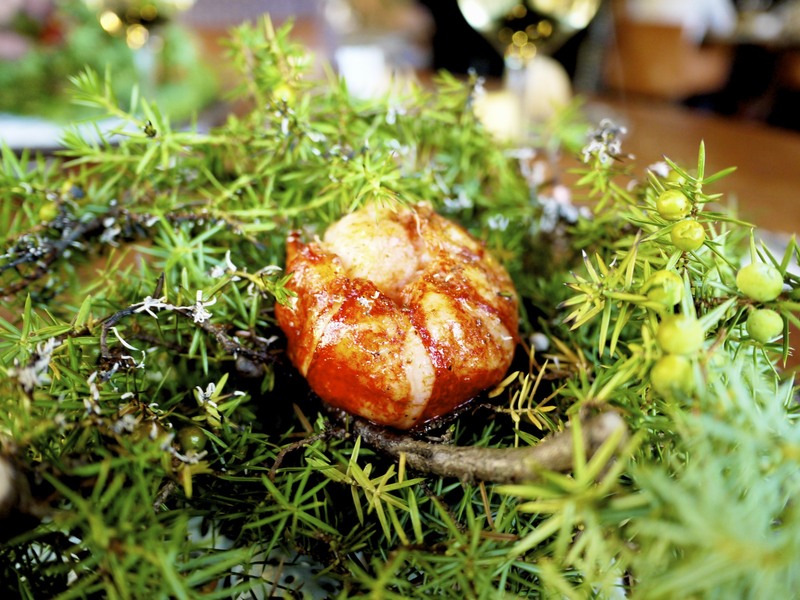 An example of Gauthier’s obsession in respecting and maintaining the purity of ingredient was the delicate lobster tail, slightly poached, and infused lightly with the smoke from the burning juniper branch it was served in (Homard, genièvre…). Putting aside the theatrical spectacle of the dish, the buttery flavour and succulent texture of the lobster was stunning and the aroma of the burning juniper enhanced the taste without necessarily complicating the “essence” of the dish. The globe artichoke served on a bed of thistle seeds (Chardon, grainés) was probably the least favourite dish of the evening. Don’t get me wrong, the dish wasn’t terrible but neither was it interesting. There was something missing on the plate which I couldn’t put my finger on. Possibly some kind of a sauce or something that bound the elements together. It was rather dry. 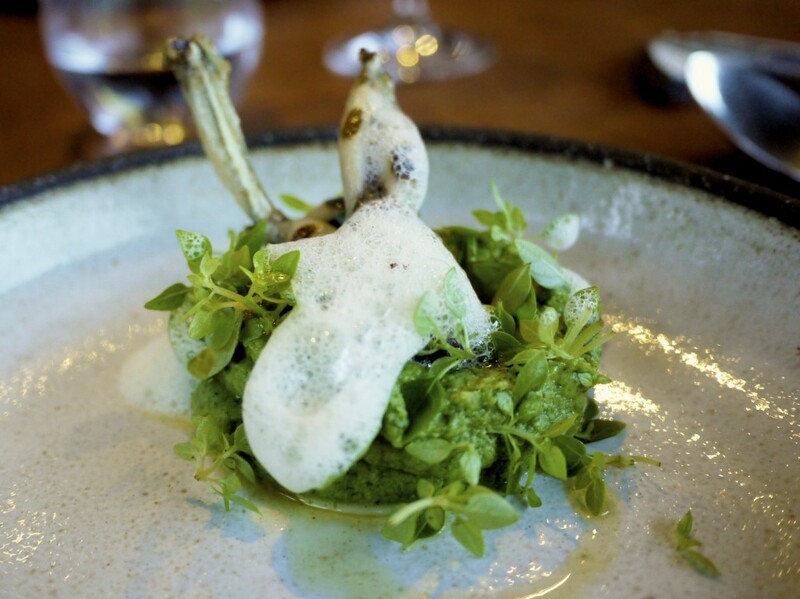 Another surprise course of the grilled frogs legs served on a bed of basil leaves (Grenouilles grillées, basilic…), dressed with a caramel flavoured mousse made from butter and lemon. Tender and delicious, but most interestingly you could really taste the meat and it was divine. I don’t think I’ve ever taste the flavour so distinctly before as most restaurants have tended to deep-fry them to a crisp. Brave move but the risk paid off. Our penultimate savoury course had me wondering for a while as I couldn’t see any girolles mushroom at first sight (girolle, peau de lait, amandes…). Rather, the girolles that had been lightly pan fried in garlic butter were nestling below a thin skin of slightly sour goats milk with some almonds. Complex flavours with the sour note working well in contrast to the peppery mushroom. 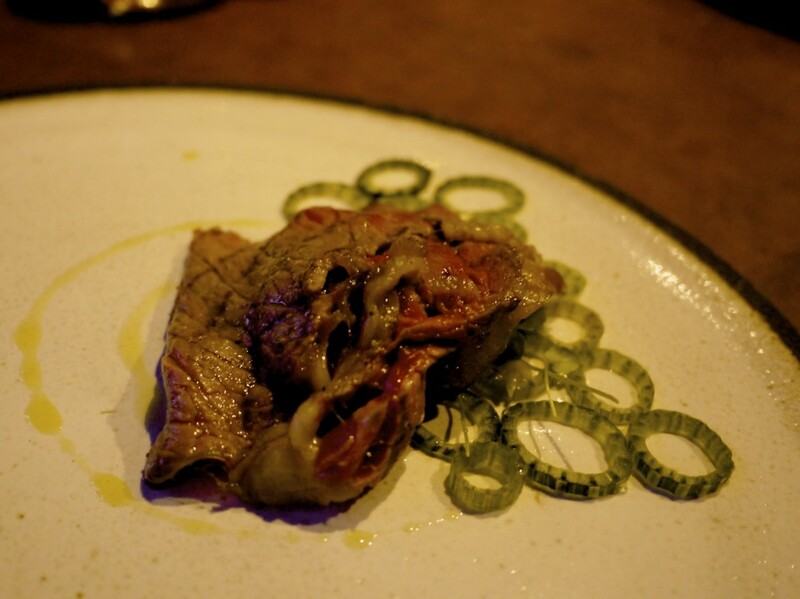 Our only meat course consisted of a smokey thin cut of steak which was served with garlic scapes / stems (vachettes, tiges…). Gauthier came out himself to serve this course to explain why he chose a cheap cut as he firmly believed that mundane ingredients properly prepared could be phenomenal. Granted, it was a bit chewy but it was packed with flavour. What amazed me most and remains a mystery was how he managed to infuse such an intense smokey flavour into the meat, given it was served blue? Dessert was by no means inferior to the impressive dishes that had preceded it. I certainly would not have thought that presenting a block of honeycomb at our table would have aroused as much excitement as some of the spectacles I experienced in places like el Bulli; but it did. 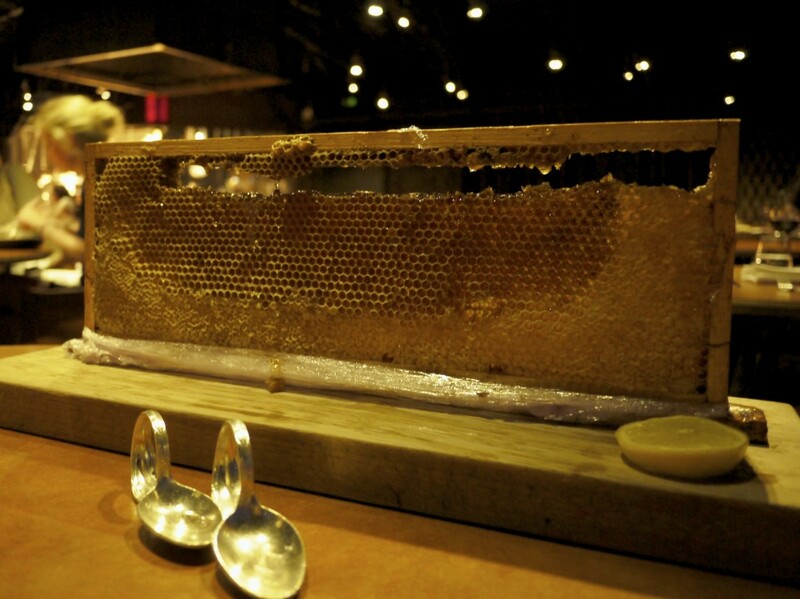 The waitress prepared the piece of honeycomb on a small spoon and dressed it with the juice from a fresh lemon. It was so simple yet ingenious and truly refreshing! To top it off, the waitress prepared us some home made mead, that incorporated local honey, yeast and water, by using what appeared to be an industrial sized mouth pump pipette contraption. A beautiful combination with the piece of honey; a light floral tone and refreshing citrus aftertaste. 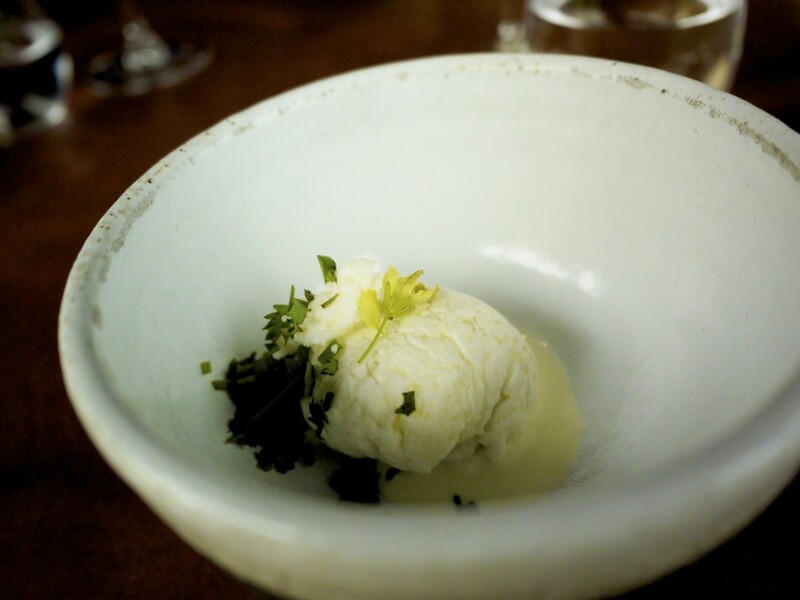 The first dessert course had the overall effect of grazing over a green field (Herbes grasses…). 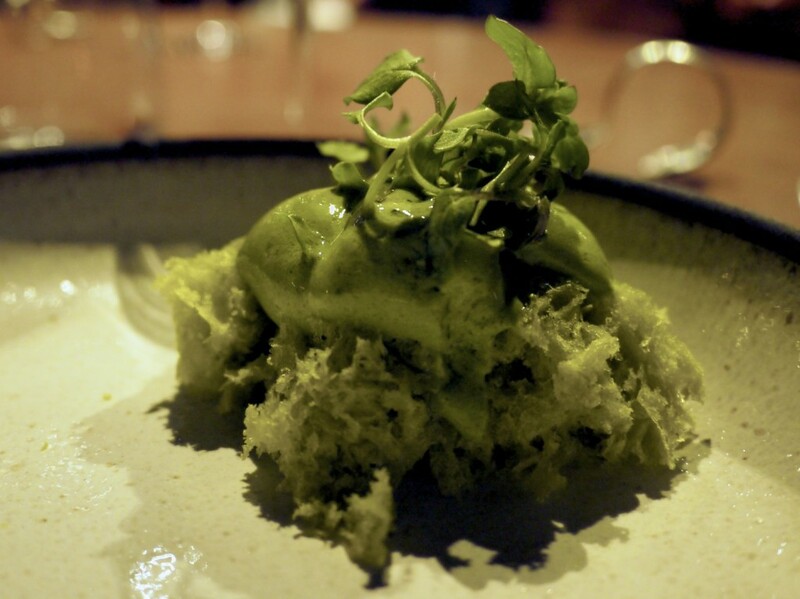 The bottom layer revealed thin slices of creamy avocado on which sat a piece of avocado and pistachio sponge cake, topped with a herb ice cream. The combination of creamy avocado, nutty sweet cake and cold tangy ice cream was unbelievable. Certainly not something I would have chosen off menu but I was glad to have had it. Any equally odd combination followed with chocolate and French parsley (Cacao, cerfeuil…). The French parsley were carefully scattered across the chocolate cookie-wafer body, held together using smooth chocolate cream. 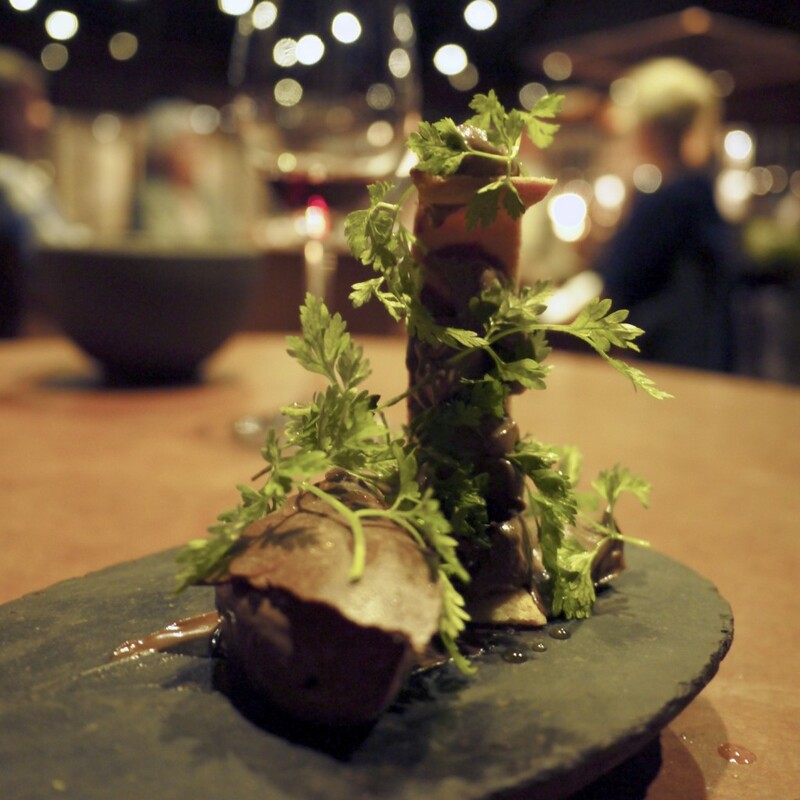 The chocolate was delicate and luxurious but perhaps the French parsley was rather more visually appeasing, and less so on the palate. 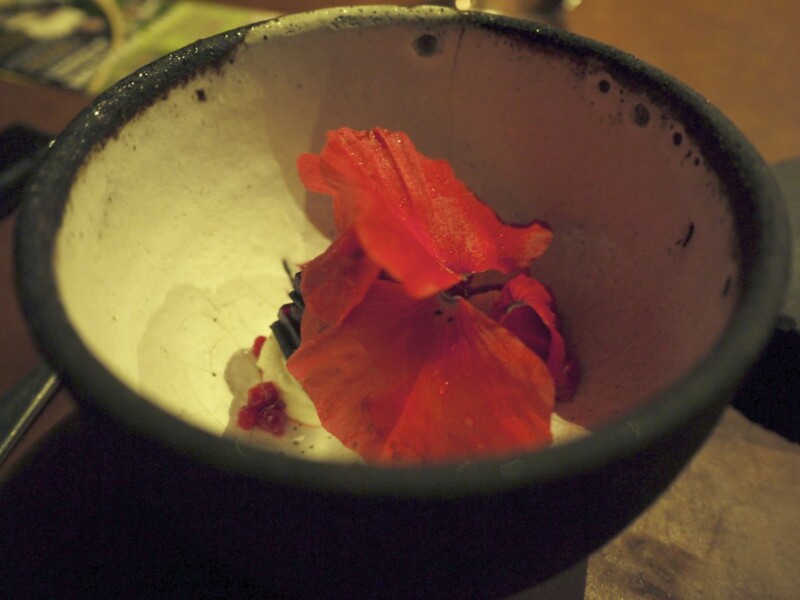 Our last course tasted was colourful as it looked (Framboise, coquelicot…). Elegantly balanced on a bed of goats yoghurt was a tower of square raspberry jelly and black liquorice biscuits, topped with poppy petals. A perfect way to finish the evening. 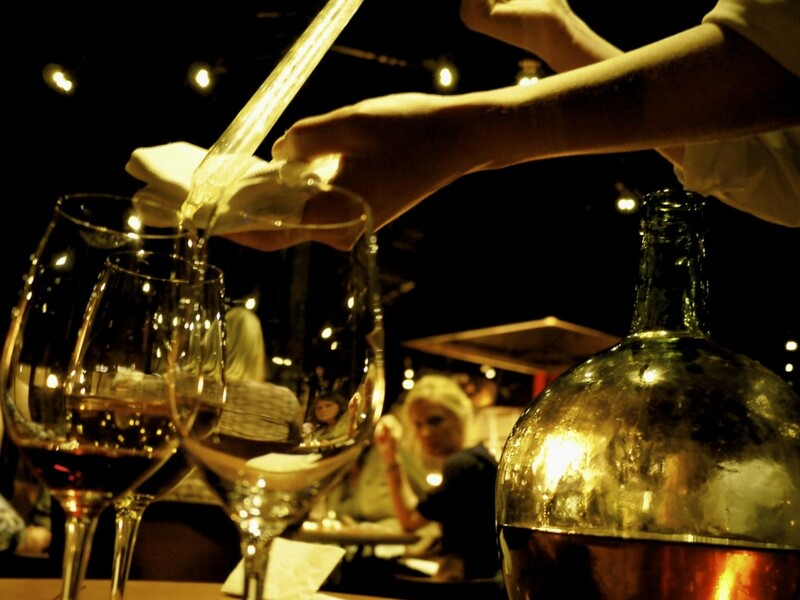 I was generally impressed with the avant-garde cuisine that Gauthier had developed. 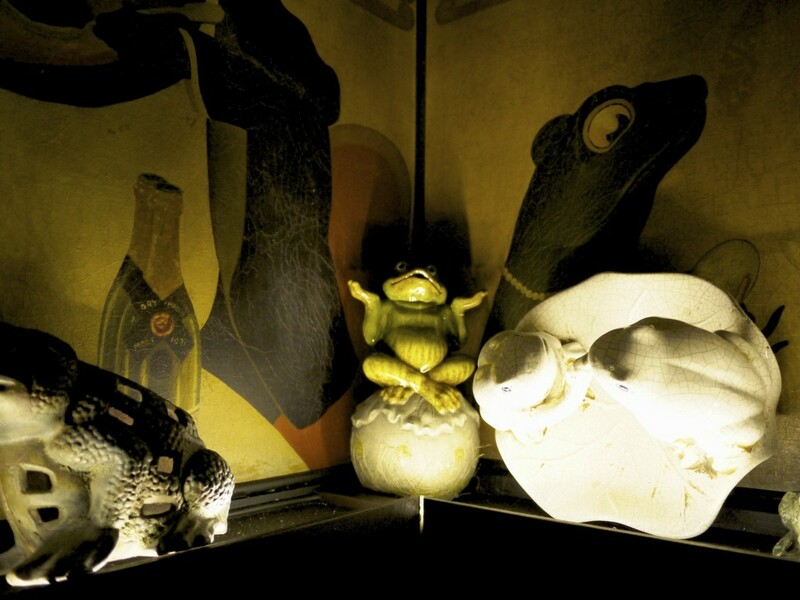 Contrary to many of his peers in France, his cooking was expressed through his eccentricity in combining mundane ingredients and products to create something new and unusual. By experiencing the whole tasting menu one could only get a glimpse of his vision, but what was obvious was his appreciation and respect for natural flavours. I liked the fact that he enjoyed challenging the palate of the discerning diners without compromising on his philosophy. 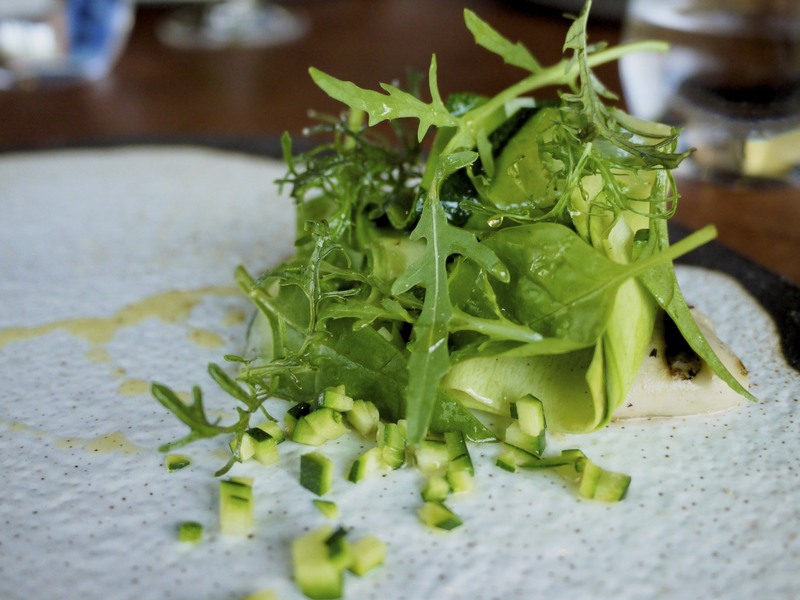 Just as how Bocuse had led a culinary revolution many decades ago with ‘nouvelle cuisine’, it’s encouraging to see the next generations of chef doing the same by challenging the norm. 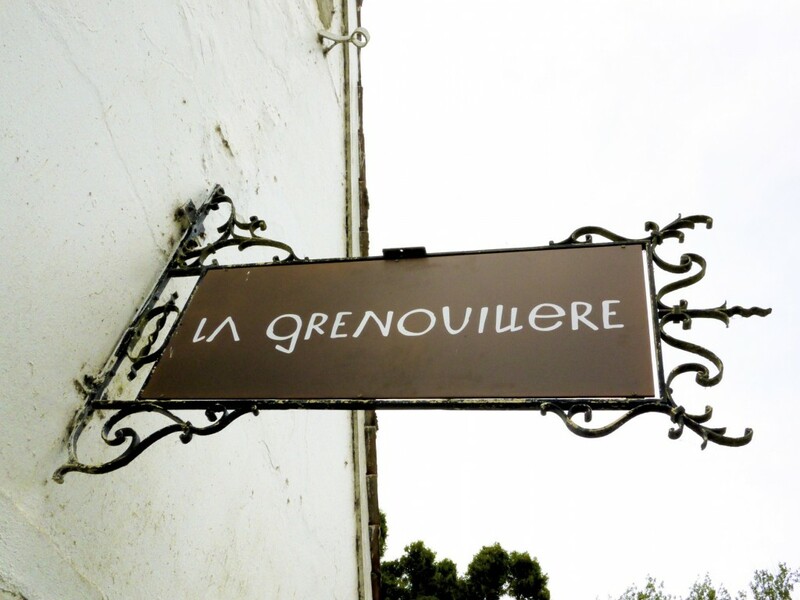 La Grenouillere may perhaps be one of the most exciting restaurant in France right now. This entry was posted in France and tagged Alexis Gauthier, France, French, Grenouillere, Montreuil sur mer on June 21, 2014 by admin.